I’ll be honest and say that before I was called upon to watch Léon the Professional for work, I did not know much about Luc Besson’s work besides The Fifth Element. 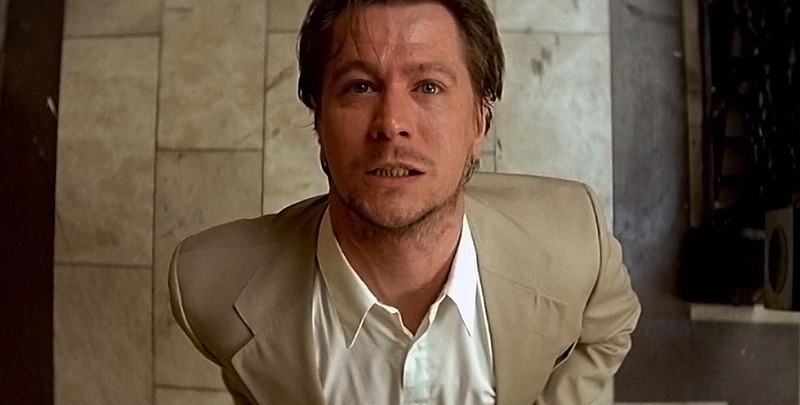 Leon was his immediate directorial project previous to Fifth Element and that it apparently had some pretty great work by Gary Oldman which earned him a spot as the villain in the sci-fi spectacle. With some basic research behind me, I donned my trench coat and beanie (to not catch a cold) and headed down to George st cinemas for the In the House screening. Anthony Kierann and David ‘Quinny’ Quinn were the hosts for the evening and set about warming up the audience. After a quick game of ‘heads or tails’ with the entire cinema, with the winner getting a prize, the two MCs sat down for a quick chat about the film’s trivia. In particular they spoke about some of the film’s more controversial elements and how the film’s director, Luc Besson, worked with the actors. A tidbit that I found quite amusing for instance was the fact that Portman’s parents had some pretty stringent stipulations about what her character would and would not do… down to the specific number of cigarettes her character would smoke and the fact that she would quit by the end of the film. 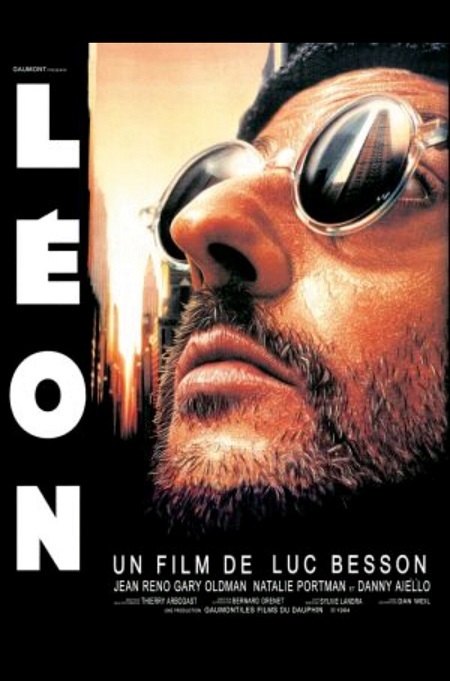 The film follows the work and life of the eponymous Léon (Jean Reno), who works as a hitman for the Italian mafia in New York. His existence is a lonely but exciting one as he expertly and viciously works to complete his contracts. Although he is brutally efficient and possibly downright psychopathic in his work, he still has a kind heart for the young daughter of his neighbour named Mathilda (Natalie Portman). When Mathilda’s family are killed off by corrupt cop, Norman Stansfield (Gary Oldman), Léon is the one who makes the fateful decision to take her into his care. An unusual bond forms between the pair as Léon teaches Mathilda the ways of the hitman. As this new bond forms, Mathilda still hungers to avenge her family and take down Stansfield. The performances from the leads was absolutely top-notch in this film with Reno, Portman, and Oldman all pulling out stellar performances with actually quite nuanced depth. 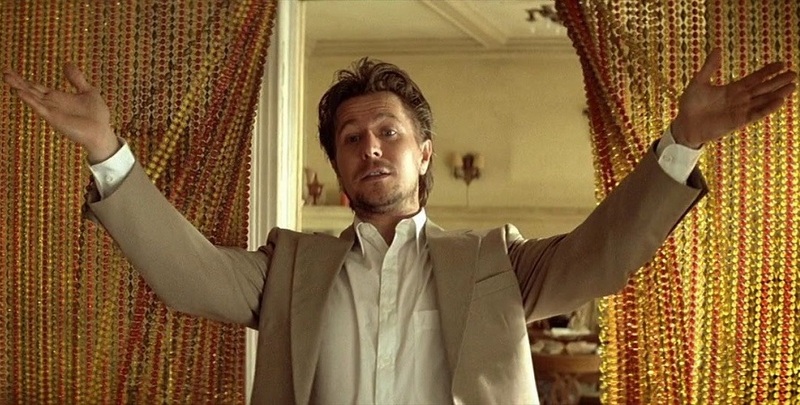 Oldman in particular is absolutely terrifying in his unerring portrayal of the drug addicted Stansfield. His every movement onscreen is a frightening mixture of barely restrained impulses as he twitches and menaces his way through the film. It’s a performance which is at once over-the-top melodramatic villainy as he charges into an apartment to the tune of an orchestral score only he can hear (I kid you not) alongside more plain intimidation as he waves a gun around non-chalantly at other characters. Portman does an excellent turn as the streetwise but still very young Mathilda. Portman gives the character a nuanced depth as someone who has experienced more than fair share of life’s troubles but is ultimately still naïve about much of the world. She’s strong but also quite emotionally vulnerable, which makes her character both compelling and confronting. 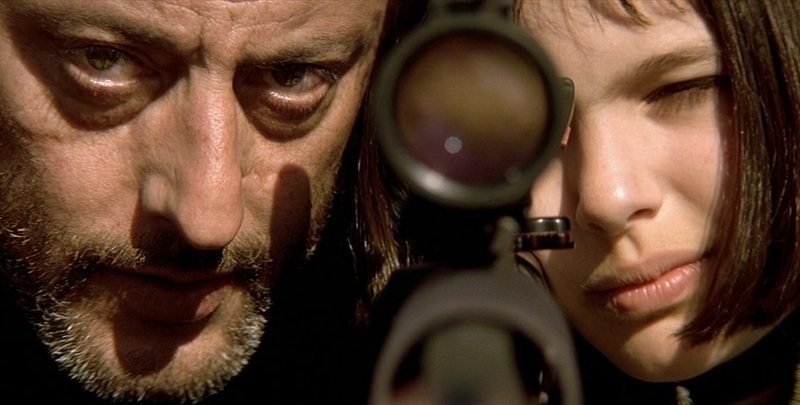 Jean Reno is a master of facial expression and contortion. I don’t believe I’ve seen an actor who, in the same film, could exude the cool, calm and collected demeanour of a mafia hitman alongside the goofy expressions of a very awkward middle-aged man when the film called for it. Both these characters are played charmingly awkward by the actors which helps to endear you to them even as they wantonly commit murder. I’m going to address the elephant in the room and admit that this film was not an entirely comfortable viewing experience for me. The presence of sexual tension between the two protagonists was deeply unsettling for me… purely from the fact that one of the characters is a pre-pubescent child. I definitely recommend viewer discretion if this material is something which you’re sensitive to as, although it isn’t as bad some other cinematic examples, I know its presence alone can cause severe distress in some viewers. To be fair, the film does lampshade this quite often with Léon’s humorous reactions to Mathilda’s advances, which I feel defuses some of this tension for the audience… nonetheless, seeing an 11 year old girl proposition a grown man is a bit jarring. I enjoyed the experience of the film all the same, but I feel that this is worth mentioning here. The visual direction in this film certainly has some wonderfully crafted sequences. Besson’s mastery of the cinematic frame is on full display here as we go from wonderfully composed shots of close-ups of Reno and Portman to wide shots of the city. The imagery is striking and powerful with the film cutting these shots in amongst moments of action and awkwardness with ease. 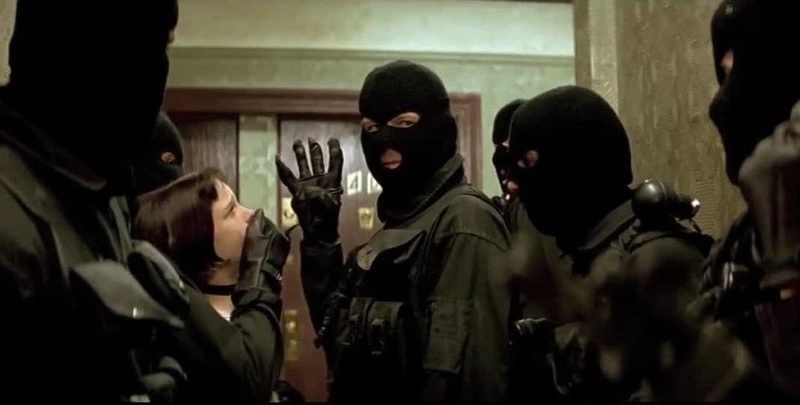 My particular favourite occurs at the start of the film where Léon reaches out from the shadows to threaten his target with a knife. It’s a cool shot to see Reno’s hands and face appear suddenly from the shadows which we then see in reverse as he recedes away from the light after his job is finished. It’s menacing, it’s visually captivating, and it shows you how much of a professional the eponymous Léon truly is. Its camerawork like this which reminds you of the artistic possibilities of the cinematic medium. The soundtrack is decidedly Mediterranean with a distinct French feel to it which I enjoyed. There’s plenty of classical guitars accordions throughout which give the film a somewhat exotic vibe. Other than reinforcing the Mediterranean and foreign origins (from an American’s point of view) of Léon, it also has a melancholy feel to a lot of the tracks. Shape of my Heart by Sting as the closing piece of the film certainly exemplifies this musical tone which the film uses. It’s certainly different to what I’m normally used to in these sorts of films and it helped to reinforce the narrative themes of the story. I very much enjoyed this film, despite my own discomfort, and was very happy to see it on the big screen. The characters are all nuanced and intriguing with the actors pulling out wonderful performances throughout. The visuals are compelling with a strong sense of a talented auteur at the helm. The audio design is also similarly of a high quality with a strong thematic tie to the film’s narrative. I have no problem recommending this film to others… as long as I am certain that they are not going to be upset by the subject material. Kudos to the folks at In the House for being brave enough to screen this film! Leon the Professional is an excellent film with strong visuals and story which also handles some controversial material.